سواءً كنت مسافراً بغرض السياحة أو العمل, Franklin Central Apartments هو خيار عظيم للإقامة خلال زيارتك أديليد. يقع مركز المدينة المثير على بعد 1 Km فقط. يشكل هذا الفندق ملاذاَ مريحاً للاسترخاء ويمنح زواره فرصة للاستجمام والتجدد، وهو يقع على بعد خطوات من المعالم السياحية الكثيرة للمدينة كمثل: مسرح هير ماجستي, ‪General Post Office‬, Adelaide's Pop-Up Bookshop. استمتع بالخدمات الراقية والضيافة التي لا مثيل لها بهذا الفندق في أديليد. لضمان راحة ضيوفه، يقدم الفندق الخدمات التالية: واي فاي مجاني في جميع الغرف, تسجيل وصول/خروج سريع, تخزين الأمتعة, واي فاي في المناطق العامة, صف السيارات . بالإضافة لهذا,تتضمن كل غرف الضيوف مجموعة واسعة من وسائل الراحة . بعض الغرف توفر حتى تلفزيون بشاشة مسطحة, سجاد, قهوة فورية مجانية, شاي مجاني, بياضات لإرضاء أكثر الضيوف تطلباً. كما أن مجموعة الخدمات الواسعة الموجودة في الفندق لضمان راحتك تترك لك الكثير من الخيارات لقضاء وقتك أثناء فترة إقامتك. إن كنت تتطلع إلى إقامة مريحة وهادئة في أديليد، فستجد في Franklin Central Apartments بيتك الثاني. مواقف السيارات متاحة لقاء رسم إضافي. يُطلب من الضيوف أن يذكروا رغبتهم بالحصول على موقف للسيارات في حقل الطلبات الخاصة عند إجراء الحجز أو التواصل مباشرة مع العقار. يرجى ملاحظة أن مكتب الاستقبال يغلق الساعة 11:00 PM. رسوم إضافية على البطاقة الإئتمانية بقيمة 500AUD مطلوبة عند تسجيل الدخول كمبلغ تأمين للأجور أو الأضرار خلال الإقامة و سيتم إسترجاعها عند المغادرة. تنطبق هذه الأسعار فقط على غير المقيمين في أديليد لأسباب ترويجية. يتوافر تسجيل الخروج حتى الساعة 12 ظهرًا لـOne and Two Bedroom Executive Apartments. Central locarion hence easy access on foot to all parts of the CBD. Only 1 lift...... ...... ...... some expect waiting time. They have a small car park which costs extra - $22/night. The price displayed in Agoda should include this cost if the car park option is selected. We flew from Darwin to attend the Monster Jam show at Adelaide Oval, arriving the morning of the show. We went straight to Franklin Central Apartments and although it was too early for us the check into our room we were able to leave our bags in their care while we went onto the show. The location was handy for us and we enjoyed our stay there, and were made to feel very welcome. We will use the Franklin Central Apartments again. Carpark is underground with remote key to open the garage door. 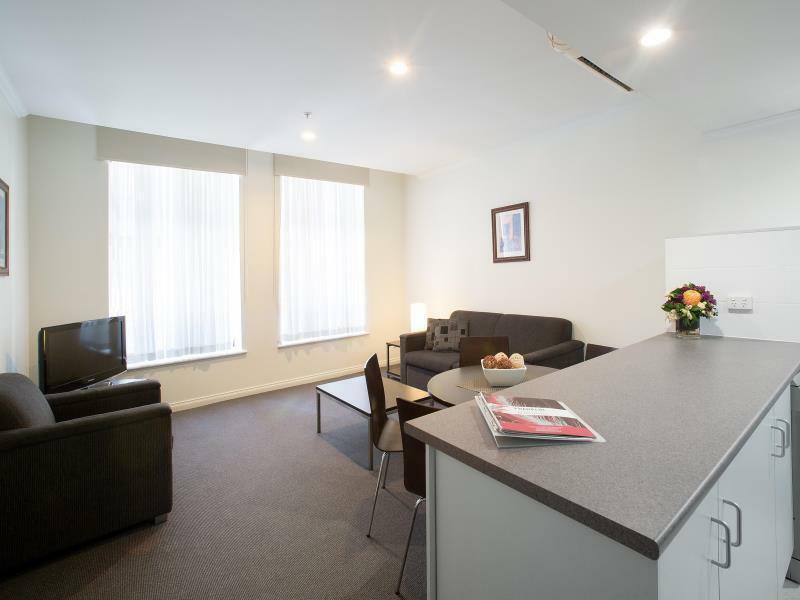 Only 15 aus dollars per day and apartment is closed to Central Market and in central of CBD. Staffs are friendly and helpful as well. Fully equipped kitchen, washing machine and the apartment is spacious. We love this apartment. 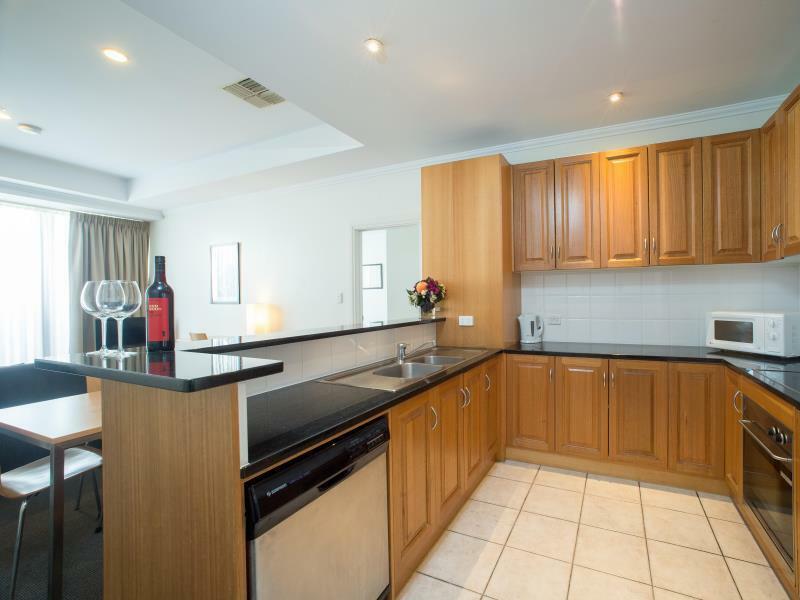 It is clean, spacious and the kitchen is very well equipped. The bathroom comes with washing machine, dryer and hairdryer too. 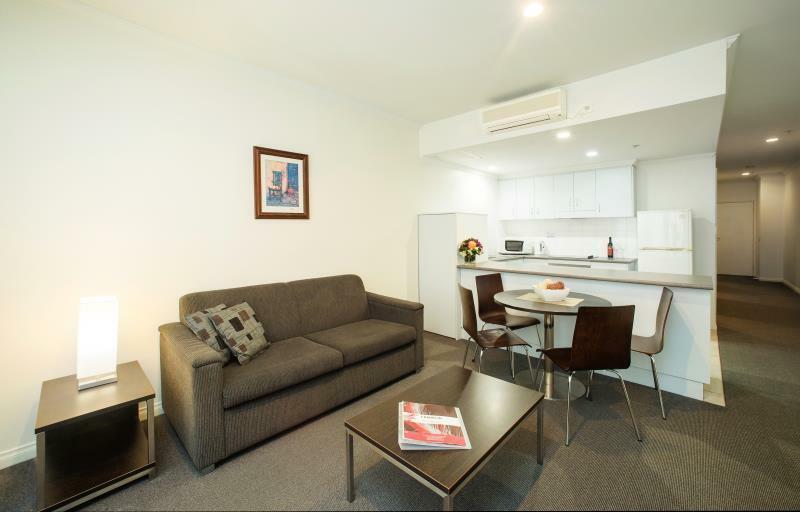 This apartment is within walking distance to Victoria Square, North Terrace, Rundle Mall etc The staffs are friendly and the check-in / check-out process is speedy. I really love the location where its near central market, Chinatown and central bus stop. It's very accessible and very easy to locate. 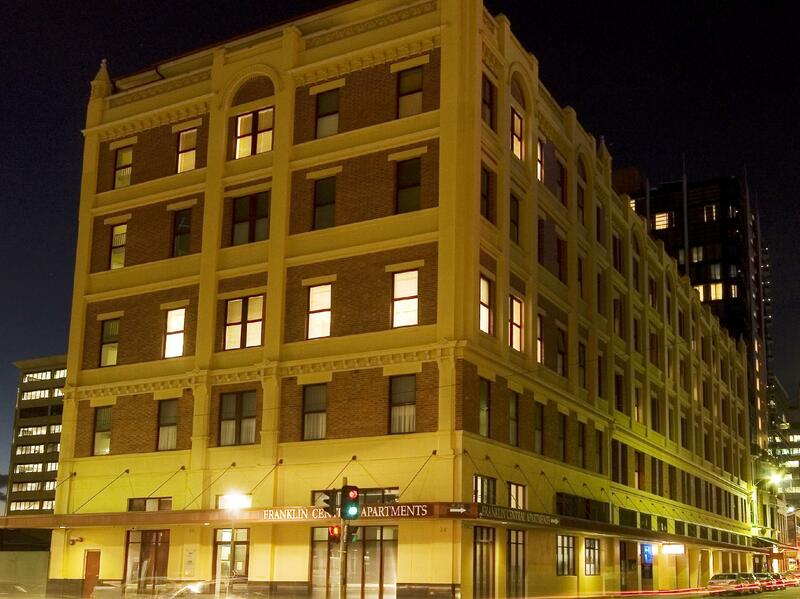 Would return to Franklin central apartment if I visit Adelaide again. The 3 rooms apartment was an ideal to stay to go Central Market and Chinatown. Only con is the sofa bed is too soft for an adult. The apartment which we stay was on first level and windows are facing the main road. Happen to have road work and they start to work at 7am which was too nosiy. Near to Central Market and Bus Terminal. Clean,too. 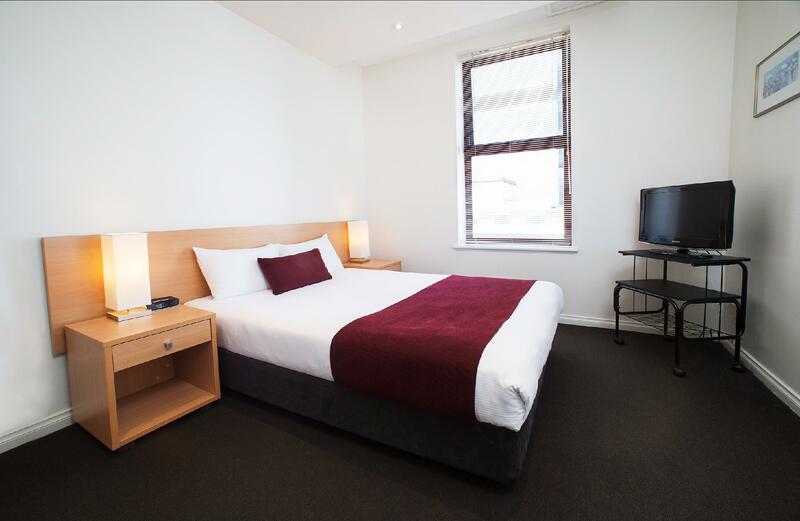 This hotel apartment is not far from Adelaide International Airport. The staffs there were really helpful and nice. We arrived early in the morning suffering from jet lag and the lady at the counter was kind enough to check us in even though check in time was after 11.00. So far we had a memorable stay there and definitely go back there again next time. Cons include limited car parking on site, only one lift for the whole building and no gym. Overall good value if booking at a non-refundable special rate. 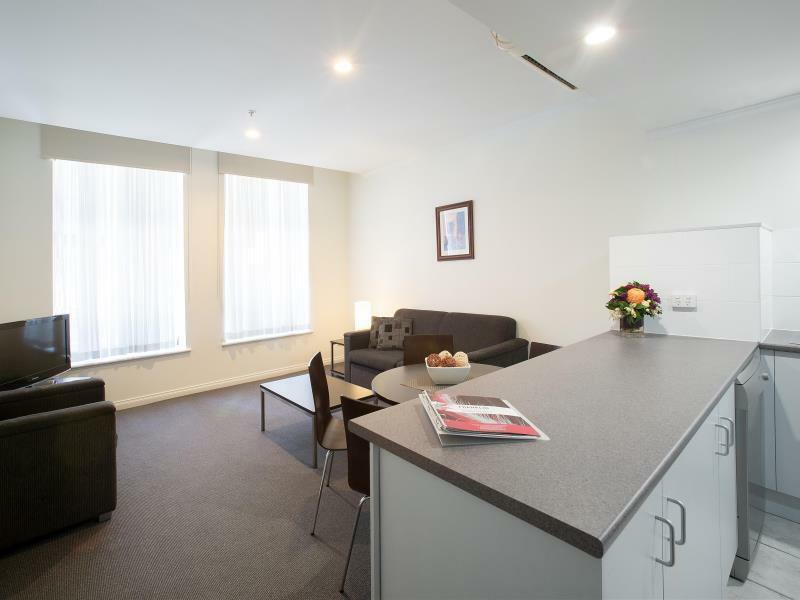 Paid just over 1800 aud for 12 nights over Xmas New Year period for a one bedroom apartment overlooking Bentham st. I stayed there with my younger brother for 4 nights. Getting there from the airport was fine. However once we got there, there wasn’t enough parking out the front so we could quickly check in. When I asked about the parking she said they don’t have any, but there is a parking complex next door and the bottom level is their’s. She then proceeded to tell me that they were booked out on the second night. So I had to park elsewhere. If you are in and out all day using the car it’s going to be expensive as if charges by the hour. When we left the car in there over night, it had been in for about 18 hours, that cost $19 which wasn’t too bad. But still a hastle. The apartment was great, clean and everything you needed really. It was the parking situation that let it down. Excellent value and great location for family or business, especially compared to $350 hotel next door. No frills but all you need older apartments with good bed, new paint and clean facilities. Really helpful and friendly staff. Stayed here for the first time in 10 years, normally stay at another apartment when in town, as it was Mad March we were unable to get that apartment. Frankin Apartments are bigger than most, have washing machine and dryer. the kitchen facilities are very good. good size fridge, crockery and cutlery were ample. Lounge was a bed sofa but very comfortable. cleaner were polite and helpful. we will e travelling to Adelaide within the next couple of weeks ( live in Penang) we are going to stay there again. Great place for walking to South Terrace and Wakefield St. Thanks to everyone for making our stay 100%.. Thanks to all for making our stay what it was comfortable. Please be ware that they won’t have room service during Sunday. Others are good! I was surprised at the size. Being on my own I had a lot of space. The main bedroom had a window which showed a view of the main corridor... meaning people in the corridor could see into the main bedroom if the curtain was open. A little strange. Plus there was the noise of other guests walking past who think they're in their own homes and choose act as such. I chose to sleep in the room with the single bed - away from the front door of the apartment. I believe I slept better for this decision. I was only there for 2 nights and enjoyed my stay. Would stay again but not solo, I don't need that much room but would definitely recommend it to other people. The location is first rate and the facilities excellent and space abundant. Though the lounge suite could do with being replaced. You also feel a bit hemmed in as the bedroom window faced the corridor and the lounge area looks out onto a large building which is being refurbished. Unfortunately we had one sleepless night due to several drunken "guests" and there is nobody to report this kind of thing to after hours other than an emergency number. Great staff, though I couldn't tell if it was the staff or just because we were in South Australia. Lots of space and close to city centre. We stayed in a 2br apartment. It had a strange layout. The main bedroom faces the hallway. The second bedroom was quite small with the bed not large enough for me(1.87m). But the most uncomfortable aspect was that the rooms were very stuff once the door was shut. No really much management can do unless they put internal windows in. Overall it's a good value place. Interior could be updated a bit. One or 2 nights max.